With the constitutional deadline to hold elections following the December 21 passage of a no-confidence motion against the government expiring at the end of Thursday, Opposition Leader Bharrat Jagdeo does not foresee a resolution for which he blames President David Granger. The country will head into uncharted waters should an agreement not be reached by the governing APNU+AFC coalition and opposition PPP/C to extend the deadline. A two-thirds majority in the National Assembly is required for this and the government thus needs the support of opposition parliamentarians. The opposition has been insisting on elections by April 30th while the government has said that it is the Guyana Elections Commission that has to advise when it would be ready. Both sides remain deadlocked and Granger is currently in Cuba where he is undergoing treatment for Non-Hodgkin Lymphoma. “Doubt it. The President gave an ‘it’s not me’ address to the nation and left for Cuba,” Jagdeo told Stabroek News yesterday when asked if he believed a resolution to the deadlock could be reached in time. 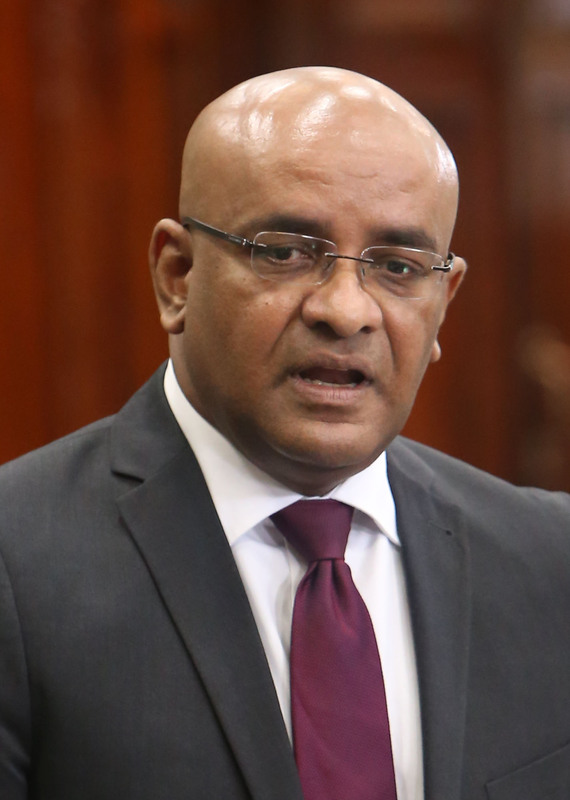 Jagdeo has accused Granger of acting in bad faith on the holding of constitutionally-due elections, while maintaining that government cannot continue holding office beyond the March 21st deadline unless an extension is granted by two-thirds of the elected members of the National Assembly. Government, in response, has said the claims are furthest from the truth as Granger has demonstrated impeccable leadership, despite consistent attacks from the opposition, given the current circumstances and that Jagdeo should be blamed. 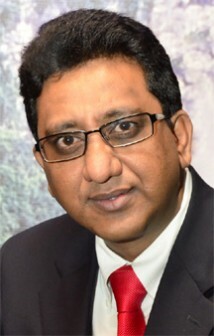 Former Attorney General Anil Nandlall is concerned about the situation as he explained that when the time expires, Guyana’s Constitution has no provisions for an extension of government’s life subsequent to that and all decisions taken thereafter, would be in breach of the law or “extra-legal”, even if both sides agree to elections. “Strictly speaking, the Constitution provides for and contemplates that the life of the government must be extended before it lawfully expires. Of course, the life of the government can only be extended by a resolution passed by the National Assembly with a two-thirds majority vote. In that resolution, it would be stated the length of time the life of the government is to be extended and the date for elections, and within that time, the president would have dissolved the parliament. The Constitution does not contemplate nor provides for an extension of the government’s life after it has expired. In other words, after death the human being cannot come back alive. The life would have been extended only while the human is alive,” he stressed. “After (March 21st) parliament cannot constitutionally be reconvened and even without the (reconvening) of parliament, the president cannot lawfully fix a date because to do so, he has to trigger a proclamation under the Constitution itself but that Constitution doesn’t recognise him as President. That is what is meant by a constitutional crisis. The Constitution is silent on what is to happen thereafter,” he added. Nandall said that he has heard arguments for the doctrine of necessity being advanced and that it can be invoked in such a circumstance as when the timeframe expires. He argued that the doctrine of necessity cannot be resorted to where the constitutional vacuum is self-induced or deliberately caused by those who want to invoke it. “The doctrine of necessity applies when there is something that occurs which is not contemplated nor foreseen. In other words, one cannot violate the Constitution intentionally and procure that violation, invoke the doctrine of necessity or else if that is the position, the doctrine of necessity would become the refuge of despotic and tyrannical rule the world over. Any government would then be able to remain in office deliberately so beyond its constitutionally scheduled tenure, refuse to hold elections and then at its own whim, invoke the doctrine of necessity to legitimise its stay in office. Clearly, that is not the purpose for which the doctrine of necessity was created,” he stressed. 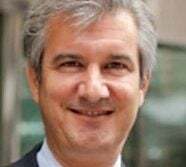 He maintains that only in such cases as the examples he gave, could the doctrine of necessity be invoked and if any other move is made, it will be in violation of the Constitution. Government has said that the very Constitution that saw the passage of the no-confidence motion, makes clear that the President remains in office until another President is sworn in. “It is important to note that contrary to the claims by the People’s Progressive Party (PPP) and their supporters that the Government is acting illegally, Article 106 (7) of the Constitution of Guyana states clearly that: “Notwithstanding its defeat, the Government shall remain in office and shall hold an election within three months, or such longer period as the National Assembly shall by resolution supported by not less than two-thirds of the votes of all the elected members of the National Assembly determine, and shall resign after the President takes the oath of office following the election,” a statement from government on Saturday said. “It may be apposite to note that the attorney for the Leader of the Opposition, Mr Anil Nandlall submitted to the Court of Appeal that there must be a Government. Referring to Article 106 (6) and Article 106 (7), Nandlall submitted that while the first article provides for the resignation of Cabinet including the President, the Government remains intact until a new president is sworn in. As such, he put to the Appellate Court that the President remains the President, and the Ministers remain Ministers of Government,” it added while quoting Nandlall’s submission on the matter. As such, government believes that it is legal and will remain in government. “There are no legal barriers to Government’s functioning and as such, the Government will continue to execute its functions to the citizenry,” the statement said. Nandlall said that the President is ill-advised and, as such, he and his advisors are deliberately omitting from that provision of Article 106 (7) the line that says “that the election must be held within three months.” “One cannot read that provision and just ignore that conditionality as if it does not exist. He remains in office until a next president is sworn in, but the Constitution fixes an event which must take place within a timeframe which will cause that next president to be sworn in. That event is the elections and that timeframe is within three months from the date that the incumbent government was defeated by a no-confidence motion. They are reading the Constitution conveniently and selectively,” Nandlall said.